Before and after all Masses at Queen of Apostles on April 22nd and April 23rd, the Knights of Columbus John Paul II Council #4522 handed out iconic Tootsie Rolls and Tootsie Pops to chocolate lovers young and old--while collecting generous donations towards support of KOVAR. KOVAR is a charitable 501(c)(3) corporation established by the Virginia Knights of ​Columbus in 1971, dedicated to serving young Virginians with intellectual disabilities. KOVAR collects and distributes funds in the form of grants and loans to tax-exempt organizations that serve people with intellectual disabilities in Virginia. Grant funds are used to purchase scholarships for Special Olympic athletes, to purchase furniture for group homes, to renovate group homes, to purchase wheelchair accessible vans, and to provide job training opportunities, among many other things. 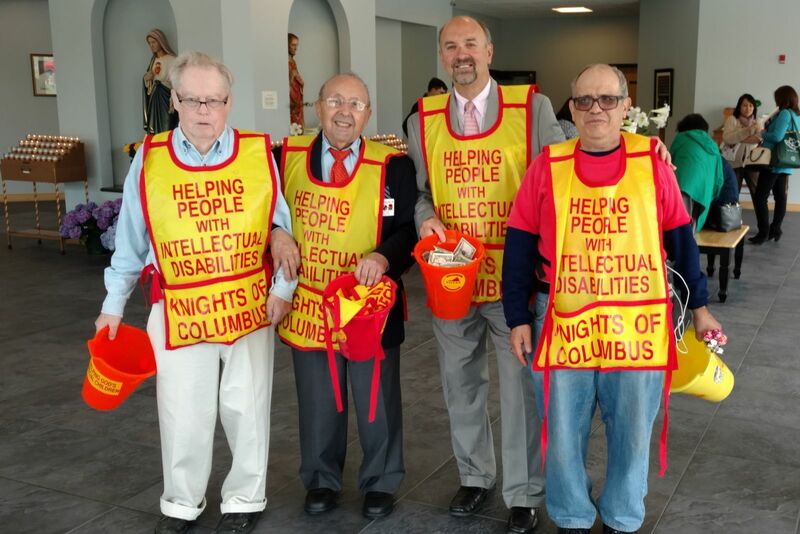 The Council thanks John Paul II’s KOVAR Chairman, PGK Al Avellino and his entire “Bucket Brigade” of charitable Knights for their service towards this most worthy cause—just a few of which are pictured above.